I-71S to Glencoe exit (62). L on 127 into Owenton, L on E. Adair, R on Ford, L on Holbrook to last driveway on Left. This is a dead-in street. Well built/maintained duplex with a total of 2 apts. Each apt. has a one car garage and approx. 1480 sq.ft. Spacious 2 Br, 1.5 bath w/Anderson windows, range, fridge, DW, pantry closet and two closets in master bedroom. 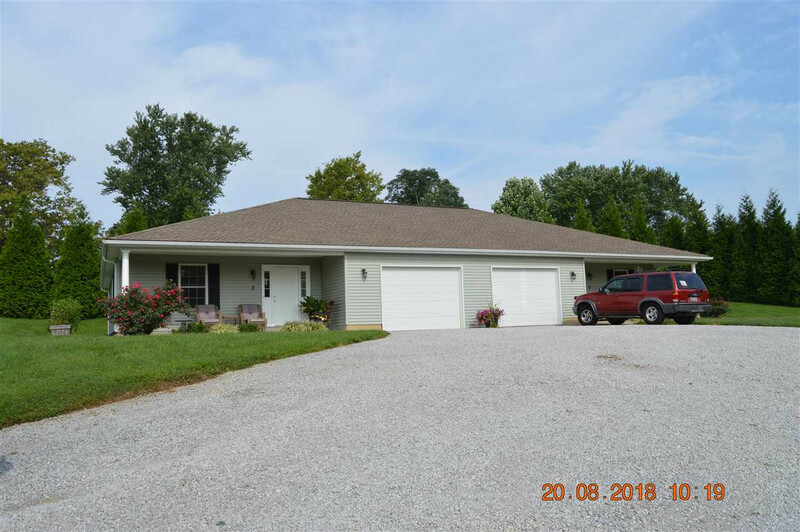 Beautiful bldgs (not in city limits) on +/- 2 acres! Dividing wall between apts is 2x6 construction for more sound proofing. Lot is subject to survey (part of a 3.3 acre tract) Majority of all appliances are new. Separate septic tanks. All garages have garage door openers. Can be purchased with Bldg. #1 (MLS 521153).